Tickets are now on sale. Send your request to info@repuevents.com and a PayPal invoice will be sent to you for pre-payment. Call 612-554-9366 for more information or visit the host’s Facebook page for the event. John Randle played defensive tackle for the Minnesota Vikings and the Seattle Seahawks in the NFL. Randle went undrafted, so he tried out for the Tampa Bay Buccaneers but was not signed. Nevertheless, he was picked up by the Vikings during training camp and played his first season in 1990. He went to his first Pro Bowl in 1993 after recording 11.5 sacks, and quickly become one of the most dominant defensive tackles of his era. At the end of the 2000 season, Randle signed with the Seattle Seahawks and retired in March 2004. The Seahawks made the playoffs two times while Randle was on the roster. 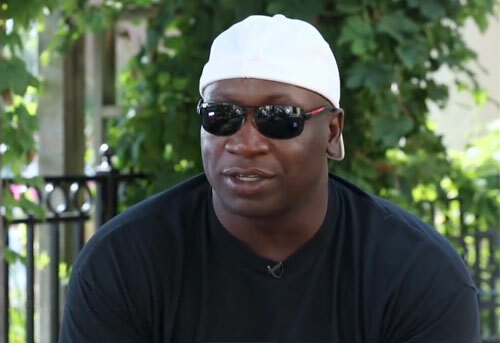 John Randle has earned numerous honors being elected to the College Football Hall of Fame in 2008 and the Pro Football Hall of Fame in 2010. Plus, he was inducted into the Minnesota Vikings Ring of Honor in 2008. Sports Speakers 360 is a booking agent for pro athletes. If you would like to book John Randle for a speaking engagement, appearance or endorsement, contact a John Randle booking agent for fees at 1.855.303.5450.